Search for your next home. Save your search criteria to run future searches at your convenience. Call us if you have any questions about a property you find. Call 719-398-1999 to schedule a private showing for one of our featured properties or for any other properties you find. We love showing properties! See the latest trends and call us to discuss your questions. We have over 25 Years of Experience Marketing Residential Properties from Colorado Springs to Monument. We have lived in the community for decades and we value the relationships we’ve developed over the years with our friends, neighbors and clients. We love how many of our clients have trusted us with several transactions over the years and how many of our new clients are the friends and family of our past clients. We believe this speaks to how well we serve our clients—we value our client relationships, now and always. 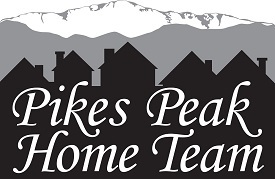 When you need an experienced Realtor® to help you buy or sell in the communities of Monument, Palmer Lake, Black Forest, Larkspur, Colorado Springs and Manitou Springs, then you need to call us today! "Just wanted to let you know how happy we were with the selling and buying of our homes. We particularly appreciate your advice and help when the low offer was given. You both (Kim Rossbach & Kathy Tutko) helped us every step of the way and we appreciate it. It of course was crazy to move, but you made the process smooth and problem free." "Kim helped me sell and purchase a home. She is very professional and works very hard for her clients. I would highly recommend Kim to anyone buying or selling a home." "Kathy provided knowledgeable and top quality real estate services as my realtor. As an out of state client with duties to sell an estate, she went above and beyond assisting me with the sale of the house."